DeVos's plans center around increased choice for parents, but will Congress work with her? 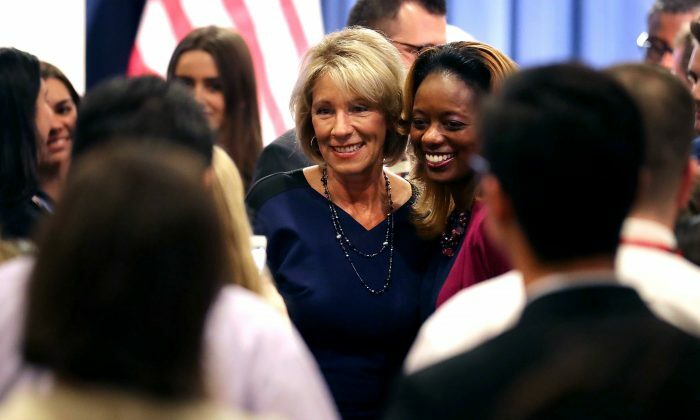 WASHINGTON—At her confirmation hearing, Education Secretary Betsy DeVos emphasized the need to empower parents to be able to make choices about their children’s education. However, she may not be able to deliver on this agenda without the help of Congress, which is not a given. DeVos proposes making the option of charter schools and vouchers available to parents. Charter schools are publicly funded, but are operated privately. Independent of the public school bureaucracy, charter schools are often not unionized and have greater freedom in how they operate than regular public schools. Vouchers enable parents to take the money the state would spend on their child and use it on the school of their choice, whether that be a regular public school, a charter school, or a private school, including religious schools. 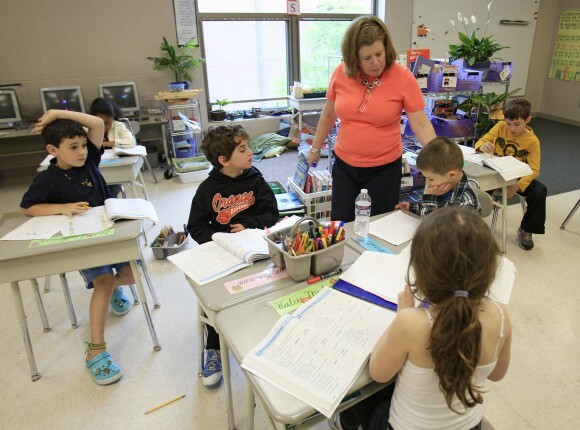 Charter schools and vouchers help introduce an element of competition into K-12 education, while bringing the decisions about education down to the local level. DeVos’s views on education are in line with those of President Donald Trump, who has advocated for increased competition and local control of education. Competition is believed to improve quality and efficiency while reducing corruption and bureaucracy. Local control ensures accountability, as those most affected by schools have a say in how they are run. Behind the talk of competition and local control is an issue of equity: Many poor and minority children have performed very poorly in the current educational system. DeVos has spent much of her adult life working to improve the education available to poor and minority children by supporting the development of charter schools through her family’s foundation. During the closing days of the campaign, Trump began appealing to blacks by claiming his administration will be able to deliver on education where the Democrats have failed. The disparity between educational outcomes for blacks and whites was documented in 1966 by the Coleman Report, which was mandated by the 1964 Civil Rights Act. Eric A. Hanushek, a senior fellow at the Hoover Institution, reassessed that report on its 50th anniversary, in a paper published in the journal Education Next. “After nearly a half century of supposed progress in race relations within the United States, the modest improvements in achievement gaps since 1965 can only be called a national embarrassment,” wrote Hanushek. In 1965, the average black 12th grader scored in the 13th percentile of the score distribution for white students, meaning 87 percent of white 12th graders scored ahead of the average black 12th grader. Today, the average black 12th grader scores in the 19th percentile. Should the Trump administration begin improving the educational outcomes for poor blacks, this would transform lives, given that educational success is strongly correlated with higher rates of employment and income and lower rates of drug abuse and criminality. Such success could also transform the political landscape. While President Obama’s education secretaries were advocates of charter schools, Congressional Democrats have tended to oppose a school choice agenda. Journalist Daniel Henniger writes in The Wall Street Journal that Democrats are desperate to hold on to teachers unions and poor black parents. The teachers unions are a key funding source for Democrats, and poor blacks are a key voting bloc. Success in delivering quality education through charter schools could reduce the ranks of the teachers unions and weaken the loyalty of blacks to the Democratic Party, making the party’s electoral success more difficult. Whitehurst sees a number of problems. In 2015, Congress passed the Every Student Succeeds Act (ESSA), which replaced what had been the guiding legislation for the Education Department, the No Child Left Behind Act passed in 2002. In the course of debating ESSA, issues regarding charter schools and vouchers were discussed, and there is probably little appetite among senators to take up this debate again so soon after passing this law, says Whitehurst. Moreover, he does not believe the politics of the Senate have changed substantially since 2015 (only seven new Senators were elected: five Democrats and two Republicans), which makes achieving a different outcome unlikely. In particular, ESSA makes no provision for school vouchers. If Trump has sufficient political capital and pushes for vouchers, Whitehurst believes amending the law might be possible. But passing a national voucher program would be difficult, in part because of strong opposition from teachers unions. Whitehurst suggests that giving states the alternative of using their federal funds for vouchers might overcome resistance from states not interested in offering vouchers. If legislation for a national voucher program were passed, though, it would face another hurdle at the state level: the Blaine Amendment. Thirty-three states have on the books this law, which prohibits using state funds for religious schools. Some states have gotten around the Blaine Amendment by packaging vouchers as educational savings accounts, which the parents would control. Rather than the state paying a religious institution, the parent would do so. Whitehurst also doubts that Congress would revisit the funding formulas written into ESSA in order to provide money for charter schools. To do so would require taking money away from public school districts, whose funding is not controversial, and giving it to charters, whose funding is controversial. Trump, though, has proposed spending $20 billion on charter schools. Whether this refers to $2 billion a year for a 10-year budget period, or $20 billion per year, is not clear. In any case, it would be a huge bump up from the present federal budget for charters, which Whitehurst describes as equivalent to a rounding error. A possible outcome might have the Trump administration finding some money—but not $20 billion—that could be used to encourage states to move in the direction of charters and vouchers. DeVos is expected to make administrative changes that will help return responsibility for educational policy to the states. Congress’s intent in passing ESSA was to shift power for making educational policy from the federal government to the states. However, the Obama administration, in writing regulations and giving guidance regarding the act, tended to strengthen the federal role. DeVos will be expected to reverse this.